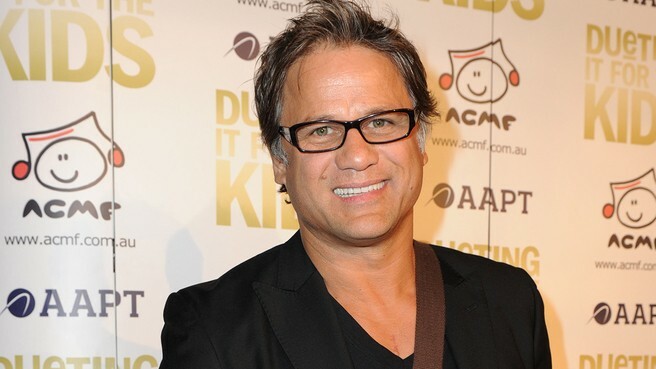 For over 20 years, Jon Stevens’ remarkable career as a singer, songwriter and performer has seen him achieve so much. This includes ARIA chart-topping success as the front man of legendary Australian bands Noiseworks and INXS, and now, with another band on the rise, The Dead Daisies. Jons’ musical journey started off with success in his birthplace New Zealand, where he released his number one debut album, with two of the singles also hitting the top spot. After expanding internationally to record his second album in Los Angeles, Stevens performed alongside Elton John. It was here that Jon met his future manager – who soon after would relocate him to Australia. Once on Australian shores Stevens wasted no time forming the rock band Noiseworks. Over the next five years the band produced three Top 10 singles and four Australian Top 10 albums. Following the success of Noiseworks, Stevens decided to pursue opportunities on a different kind of stage – starring as Judas in the 1992 highly acclaimed and successful Australian Musical Production of Andrew Lloyd Webber’s Jesus Christ Superstar. A studio collaboration in 2000, saw Stevens become part of rock band INXS as guest vocalist and he embarked on a global tour with them. This included a 55-day engagement with the legendary Night of the Proms throughout Europe. Shortly after he was officially announced as the “seventh member” of INXS. Returning to his solo career, Stevens then forged ahead with new material in the studio, unleashing a further two solo albums – “Changing Times” and then “Testify” in 2011. In 2012, Stevens and guitarist David Lowy wrote and recorded what would be the debut album for ‘The Dead Daisies’. Their first single ‘Lock ‘N’ Load’ featured legendary guitarist, Slash. Throughout 2013, the music of The Dead Daisies came alive on-stage with various internationally recognised musicians, first as support to ZZ Top on their Australian tour, before joining musical giants Aerosmith, on their first Australasian tour in 23 years. In August The Dead Daisies embarked on a huge 25-date North American tour as part of the Rockstar Uproar Festival playing alongside Jane’s Addiction, Alice In Chains and Coheed & Cambria. The line-up that has joined Jon and David has featured Richard Fortus (Guns ‘N’ Roses/Thin Lizzy), Marco Mendoza (Thin Lizzy/Whitesnake), Charley Drayton (Divinyls/Cold Chisel), Dizzy Reed (Guns ‘N’ Roses), Darryl Jones (Rolling Stones) and John Tempesta (The Cult) among others. 2013 also saw Stevens return to Andrew Lloyd Webber’s Jesus Christ Superstar for its latest production, this time in the role of Pontius Pilot, which was met with critical acclaim. A sold-out 23 date Arena Tour played all over Australia.